MOST survivors of child sexual abuse in Malaysia have to go through a long, complicated, and often traumatic, court process, which can take years to resolve. Lawyers, NGOs and child rights groups have railed against the system for decades, with little success. Until now. Datuk Seri Rohani Abdul Karim, the Minister of Women Family and Community Development (KPWKM), told R.AGE in an exclusive interview during the Hentikan!! seminar that there are support systems in place for child survivors, and that the Ministry will seek to improve their delivery. The Witness Support Service Programme in particular provides emotional support to the child, and acts as a communication channel between the police, prosecutors and children involved. While the officers do not give any legal advice, they make the court process smoother for the child by familiarising the child with court procedures, and providing assistance such as transportation. There are currently over 300 Witness Support Service Officers nationwide who also act as Child Protection Officers. They are assigned to the child once a police report is made and ensure the child is kept safe while awaiting court hearing. However, with JKM receiving almost 5,000 child sexual abuse cases in 2016 itself, there is a severe lack of manpower. This is where some remarkable NGOs and watching brief lawyers come in, taking up the torch to meet this incredibly important need for children across the country. 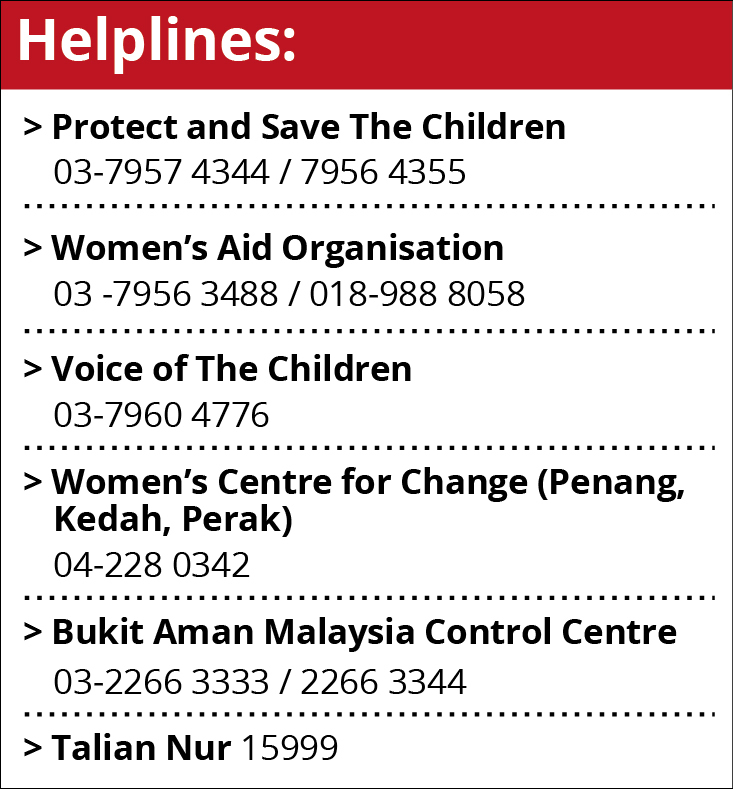 “Most of our cases are referred from the hospitals’ One Stop Crisis Centre process,” said Penang-based NGO Women’s Centre for Change (WCC) senior advocacy officer Melissa Mohd Akhir. “From there, we match our services to the survivor or client, and determine what the child needs – does she or he need to see a doctor, psychiatrist or the police?” she explained. Melissa has assisted in about 60 child sexual abuse cases in the past six years. As a former prosecutor, Melissa said lawyers who come in contact with child sexual crime cases should go through compulsory training on how to handle these cases as they are usually very complex. “Child-specific training and handling of child witnesses should be compulsory for everyone who handles child sexual crime cases,” she said. Association of Women Lawyers exco member Daniella Zulkifli added that it is crucial to have a trained social worker in cases involving a child. “The social worker has to spend time with the child in order to build rapport and gain his or her trust,” she said. As a watching brief lawyer, Daniella attends the child’s hearings to ensure the child gets a fair trial. They provide legal counsel, often for free, while social workers provide emotional support. “Although conviction is not in our hands, having a support system makes it easier for child survivors to speak up and not be traumatised all over again,” said Daniella. The police have also set up their own support systems for child survivors. 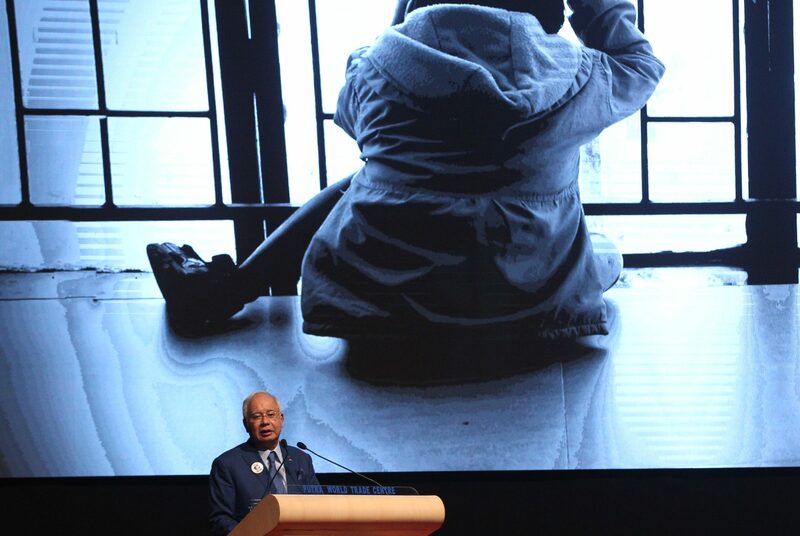 Bukit Aman’s Sexual, Women and Child Investigation Division (D11) has Child Interview Centres (CIC) in every state to provide emotional support for the child while collecting evidence to be used in court. The child-friendly CICs (which look more like childcare centres than police stations) have sophisticated recording technology manned by trained personnel to interview child survivors. Children are also provided with anatomically-correct toys to describe what happened between the child and the perpetrator. The recordings done in the CIC can be used as evidence in court, which means the child does not have to relive his or her experience multiple times. But despite all these support services being available, the majority of child sexual crimes cases are still not being reported in Malaysia. Many NGOs and child advocates say the services are not being implemented properly and don’t receive enough funding. Also, the agencies do not communicate enough. 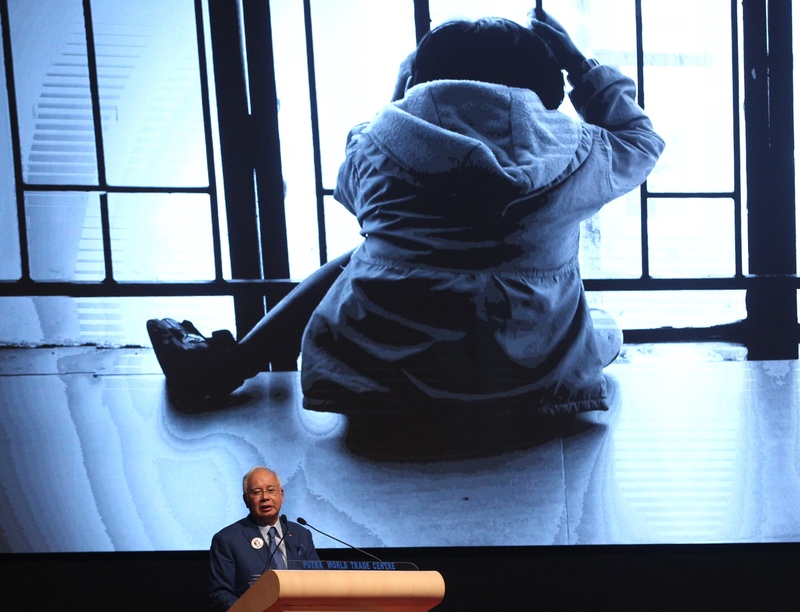 “Based on our experience in Penang, Kedah and some areas of Perak, it’s very rare that we receive support from JKM for child witnesses,” said Melissa. “We have a dialogue every six months with JKM and DPP, and they told us they only provide support for child witnesses in court about once a year. Nevertheless, the NGOs acknowledge there are now steps being taken to address these concerns. WCC is working together with KPWKM, JKM and the judiciary to launch a document of recommendation and action plans, which is supported and paid for by the Prime Minister’s Department. Representatives from JKM and the Attorney-General’s Chambers have also assured us that they are aware of the hurdles they have to overcome, and are in the midst of implementing new procedures to ensure a better court experience for children.